After studying the Karaite movement, we have determined that it’s primary aim in sharing its theology with Messianic Jews, is to get it to legitimize its authority over them, by attacking orthodox Judaism’s authority on matter of halacha, especially the moedim, and to establish itself as the rightful interpreters and authority on scripture. This is done through preying on anti-orthodox sentiments that exist within the greater Messianic movement; and is thus accepted by those all-too eager to stay away from an orthodox Judaism. What Messianic believers who have subjected themselves to Karaite halacha don’t realize is that they’ve been sold a package of counterfeit goods by a sleight-of-mind which exchanges the authority of orthodox Judaism and the majority of Israel’s leaders, with that of the Karaites, under the guise of doing what is “biblical” – again, usually also defined and taught according to the authority of the Karaites. This sleight-of-mind, coupled with unjustified, emotional anti-orthodox sentiments produces the result of a Messianic Judaism inundated with Karaite observers who ascribe to a “do it my own way” halacha at worst (and eventually slide into the lunar Sabbath camp and its derivatives), or “do it like the Karaites and not like the orthodox,” setting up ourselves as the authority or simply replacing that authority with that of the Karaites. Doing so creates general discord and disunity with the rest of Israel where we aren’t even gathering on the same day to observe the moedim which are themselves holy convocations with the aim for all Israel to gather together. You can’t have a moed with all Israel if all Israel isn’t observing your moed. Many arguments have been raised, and none of them are without debate, but the primary cause for us to accept the orthodox calendar concerning the moedim, as well as their related halacha, is that we as an organization have given up assuming the orthodox are wrong. We have given up assuming that their arguments, positions, reasoning, and halacha are not worth investigating from the start. We have given up assuming that we know all the answers, or assuming that we could figure them out alone without the input of the Sages (which leaves a vacuum for solid halachic authority that the Karaites are more than eager to rush in and fulfill). We have finally given up our Protestant baggage and stopped protesting; and we have surrendered our rebellious hearts to HaShem, trusting that he is the one who leads us all to truth through his Torah, and through those he has placed in authority over Israel (which at it’s head is Messiah Yeshua). And ever since we did, we have come to respect the learned wisdom of the Sages, and even the authority of orthodox halacha as it applies and is practiced by all Israel. Certainly some differences in halacha abound, and even more so within orthodoxy. But concerning moedim, all Israel is united on the dates we should all be convocating on, and only the Karaites, and the lone Messianic independents they’ve managed to deceive, stand apart and alone from all Israel in this regard. We as Messianic Jews must recognize the sleight-of-mind that is being pulled on us by the Karaite movement, and recognize why we were so vulnerable to fall for its deception: our rebelliousness. We need to repent, and recognize that HaShem calls us all to convocate as one people, not as a splintered faction. 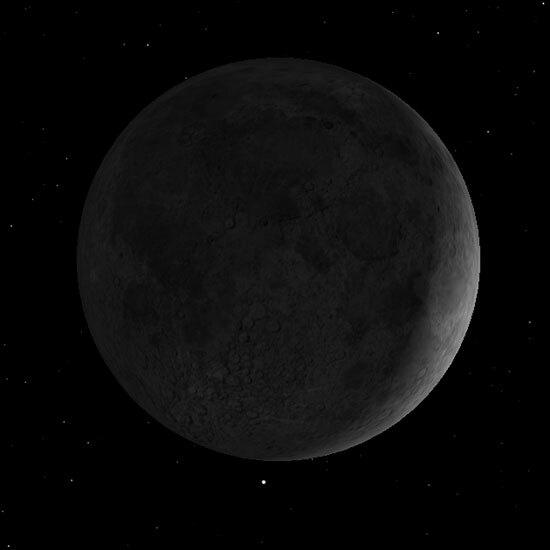 It is clearly known that there were deceivers in the days of the old Sanhedrin who would come in and “witness” to the sighting of the new moon – for the sole purpose of causing confusion and getting people to not observe the established calendar. The Karaites today appear to continue in this tradition of sending ” witnesses” in which to cause confusion from the established orthodox calendar. We as a generation are not left without our leaders. Make teshuvah and return the Torah. If our leaders are wrong about the date, the sin is upon them, not us. We are not called to break the Torah, yet who are we to decide the Torah concerning moedim for all Israel? Since when did we become the established judges for all Israel in this regard? According to the Torah, we are not to rebel against the judges that are established in our day, but to do everything they tell us – and even much more so when we are submitted to Messiah Yeshua who is King over all Israel! So then it naturally follows that deceivers will always exist to draw us away from being in unity with the rest of Israel and to cause us to separate even further. As Messianic Jews we are already separated from the rest of Judaism by our acceptance of Yeshua as the Messiah; why must we add to that the separation of our convocations? If we do, then we’d be just as guilty as if we were the Council of Nicea mandating Sunday worship – and that is certainly the result of those who rebelled against the leadership of Israel in that day too. At this point, we can only conclude then that it is better to err on the side of Orthodox authority – one that is established and tested and accepted by the majority of Torah-observant Israel, recognized by Messiah Yeshua, and unifies rather than divides, than err on the side of Kararaite authority which is established from a root of rebellion against the leadership of Israel; especially concerning the matter of setting the dates of convocation required for all Israel. Based on this, Orthodox authority should be given the benefit of the doubt concerning halacha for all Israel. We have found it to be a safe starting position for any halacha, with Messiah Yeshua as the boundary, and we hope you do too. Did you also know that the Sadduccees, a.k.a. the Tsedukim, were the Hellenized Jews of the time in cahoots with Rome, who took over the Sanhedrin? They oppressed the mainstream Jews of the time and collaborated to have Yeshua and many other Jews crucified. The Karaites are their ideological heirs- the Sadducces, even according to the Brit Chadasha, are those who denied the existence of angels and the resurrection of the dead, and who rejected Halacha and Torah she ba’al peh- the instruction and authority of the Rabbis. So this seemingly harmless Karaite position really has evil origins- the Sadducees live on in the form of the Karaites, who incidentally were the first ones in Jewish history to put out anti-Yeshua polemics such as Chizzuk Emunah, by the Ksraite Isaac Troki. I wouldn’t credit and thus honor the modern Karaite movement with calling it descended, even ideologically, from the Sadducees. That’s a claim that is totally made up. Karaites are not Jewish (religiously). There is no such thing as Karaite Judaism. Karaite Rebellion and Idolatry is probably the more appropriate set of nouns to subscribe the Karaite adjective to. Granted, an interim calendar was needed for the Diaspora, and the one devised by Hillel served its purpose very well. But with Israel back in the land since 1948, there is no excuse to keep on using the Hillel calendar, when it is so easy to observe the barley and New Moons according to Torah. We also have the benefit of computer programs to accurately predict New Moon dates, plus many sites on the web which have Biblical calendars and which offer monthly newsletters on the sightings. You say “You can’t have a moed with all Israel if all Israel isn’t observing your moed.” That’s very true. But is it a good enough excuse to disobey Torah, just so we have company on the moed? If this argument is taken to its logical conclusion, we would end up ditching Shabbat in favour of Sunday, because that’s when the majority of professing believers congregate. While we are at it, we might as well ditch all the moedim in favour of Easter, Christmas and whatever! However Tanakh makes it clear that we are not to worship with sinners: “I have not sat with idolatrous mortals, nor will I go in with hypocrites. I have hated the assembly of evildoers, and will not sit with the wicked” (Psalm 26:4-5). A Jew who prefers tradition over Torah is sinning just as much as a Gentile who prefers Sunday over Shabbat. Don’t get me wrong – I greatly prefer to convocate with other believers on the moedim, but a moedim commemorated on the wrong day is no moedim at all. For example, even though my shul puts on a magnificent Pesach, they follow the Hillel calendar. Yes, I could attend in order to meet with my friends and have a good time, but if it’s more pleasing to HaShem for me to stay home and keep my own feast (even alone), then so be it. Of course it’s a sacrifice, but if we make a sacrifice to please HaShem, is it not rewarded? I also suggest that the argument about the Karaites is a red herring. The issue at hand is how best to keep Torah, not how best to avoid doing what someone else does. For what it’s worth I have great respect for the Karaites, and reading between the lines, I believe they are closer to accepting Yeshua as Messiah than many people realise. Besides, it is not a good thing to denigrate brothers in YHWH. Finally, as for waiting for a Sanhedrin to come and put things right, we already have the mandate from Torah which says: “This is a statute and an ordinance FOREVER…”. IMHO those who are waiting for a new Sanhedrin to be formed may well find themselves following the Anti-Messiah, because under the true Messiah there will be no Sanhedrin: “No more shall every man teach his neighbour… for they shall all know Me from the least to the greatest” (Jeremiah 31:34). “The man who shows contempt for the judge or for the priest who stands ministering there to the LORD your G-d must be put to death. You must purge the evil from Israel.” (Deut 10:12). If the heart is one out of rebellion to the established authorities, and setting yourself up as a judge instead to judge who is and is not a true or false witness, there is no excuse, according to Torah to turn either from the right or left. As such the decision/calendar of the old Sanhedrin still stands until changed by another Sanhedrin. Anything less is rebellion against the established G-d-given authority that Yeshua himself submitted to and calls us all to submit to. Thank you for your considered response. I was unaware that a Sanhedrin had already been convened, and spent some time looking over their website. I must say it is very interesting. I gained the following impressions from their website. Firstly, the calendar appears to be at or near the top of their priorities, which is good. Secondly, they don’t seem to be in any hurry to resolve it soon, probably because the next question will very likely be what to do about the International Date Line (no easy answer). Thirdly, at least one of their members thinks it may be best to wait for Messiah. But whan it all boils down, concerning the calendar, are we not making a mountain out of a molehill? I may not agree with all Karaite doctrine (e.g. their anti-Yeshua stance), but am extremely happy they are prepared to trudge around Israel looking for barley and New Moons, which living in Australia is something I cannot presently do. Given that there is no compulsion to accept their recommendations, is this really ‘putting oneself under their authority’? My final authority is Yeshua, who said “keep Torah”. The Karaites help me to do that, which I very much appreciate. For what it’s worth, I also receive emails from a non-Karaite Messianic observer in Israel, and do other cross-checks of my own. So I am confident that at least 98% of the time, the date is certain. If once in a while the day is wrong, despite one’s best efforts, isn’t it covered by the blood of Yeshua? The Orthodox don’t have that assurance, so I can well understand their glacial speed on some things. May HaShem bless their desire to do things perfectly, and reveal the more excellent way through Yeshua the Lamb. Shalom! The issue has been, and will always be, submitting to the established authority – even if they are wrong. To look for witnesses outside of the established framework the Sanhedrin of old laid down two thousand years ago, is to set oneself in authority over the Sanhedrin, which is wrong. By detracting from their judgment to the right or left, we transgress Torah plain and simple. Shalom and YHWH’s blessings be upon those submitting themselves to Its will in its entirety. I’ll state my bias up front: I’m a Qaraite Jew (and dismiss the assertion that Karaites are not Jewish and there’s no such thing as Karaite Judaism.) and can read the Tanakh in its Hebrew original, so I do not fall victim to the various Christian and Rabbinic mistranslations of the text. I don’t need Rabbinical approval for my and my movement’s Judaism, yet those who study the topic seriously (as opposed to B. Betzalel) find out that such towering Rabbinic Gedolim as Maimonides and R. David Ibn Zimra (the latter of Egypt in the 16th cen.) maintained the Qaraite Jews were Jewish, and so does R. `Ovadia Yosef as well as every Rabbi with two working brain cells with a reasonable command of Halakha and Rabbinic sources. Israel B. Betzalel has fallen for mendacious Rabbinic lines completely, parroting lines from a pre-written Rabbinic script. That being said, his statements that, “At least the Sanhedrin currently in Israel… came about through the ordination of both the Chief Ashkenzai and Sepharidic rabbis, as well as consensus from all major Jewish groups in Israel” [have] with no foundation in reality… They’re totally incorrect. B. Betzalel cites Devarim/Deut 10:12 out of context. His Rabbinic misinterpretation of Devarim 17:10-11 is even more telling and comical. 1. He ignores the imperative immediately preceding the verses place on taking certain kinds of *local* disputes (not necessarily about Halakhic matters) up with a tribunal **situated on the Temple Mount in Jerusalem** (“the place which YHWH your G-d shall choose”), which metted out justice by the *Sadduceean* jurisprudence prior to the Pharisaic takeover after Alexander Yanneius’ death in 76 BCE. 2. He also seems ignorant that when such a tribunal whose make-up is priestly + 1 judge (no Rabbis are mentioned in the Hebrew original) is absent, this commandment is no longer binding. Historically, it is *known* that since the Temple’s destruction in 70 AD this tribunal has never been reestablished. 3. Needless to say that even if one were to make the Toraically dubious proposition that the “Sanhedrin of old laid down two thousand years ago” was entitled to be the tribunal alluded to in Devarim 17 in spite of its lack of priestly representation, this entitlement expired once it ceased to exist on the Temple Mount. 4. Furthermore, Devarim 17:8 makes evident that only those disputes which couldn’t be resolved by the local court where the disputes originated respectively would be allowed to be taken up with the supreme priestly tribunal situated on the Temple Mount. Those verses are for the rabbis the legal basis for their entire authority over fellow Jews and the gentiles wishing to convert or dabble with Judaism. Yet when these verses are read in context according to their plain meaning, honest individuals realize they *fail* to validate Rabbinic authority. Does B. Betzalel care what Devarim 17:8-13 really means? Evidently B. Betzalel has no idea what he’s writing about, using choice words such as “rebellion” and “vigilante” for shock value in an attempt to get his uncritical lines across. He keeps carping about the Torah as if was designed to do nothing but serve as the basis for Rabbinic authority. Or maybe he’s afraid of the Torah’s plain meaning and does his darndest to escape it since he presumingly knows deep down that it refutes both Rabbinism and Messianic Christianity. If he could have discarded his infatuation with all things Rabbinical, he might have noticed that “the established authority” is hardly established. He needs to undergo de-indoctrination. I’d like to thank “Messianic gentile” for his fair and thoughtful treatment of the Qaraite ideology and its adherents. Whether Qaraite Judaism is the most recent ideological heir and reincarnation of the Sadducees is mired in some scholarly doubt. But what difference does this really make vis-a-vis Messianic Christian theology as practiced? In any rate, ‘Talmid of Yeshua’ really needs to get up to speed with his facts on Qaraites. If he’s reading these lines, he should know that Qaraite Jews are not Hellenized Jews and do not side with Israel’s enemies. Historically, the Sadducees he’s alluding to were a minority faction among the Tsedoqim who collaborated with the ruling Pharisees in the intra-Judaean arena and were detested by the Purist Sadducees for their religious and national betrayals. To state the Qaraite Jews are ideological heirs of such detesteble and pernicious traitors couldn’t be farther from the truth. As for the Messyantic movement (which most certainly is a form of Christianity to those sufficiently honest to call a spade a spade), I pray for its downfall as long as most of its quarters try or have designs to “witness” to bonafide Jews. If Nehemia Gordon’s Qaraite influence on Messyantics can expedite this process still more, more power to him. We’ll never accept the false messiah Yeshua as the Messiah. Maimonedes did not say that Karaisim was a legitimate Judaism. In fact, he clearly said it was in error, and that its followers are in error, though not by their fault, but by the fault of their parents. He affirms the understanding that a Jew is still a Jew, no matter how apostate. You would do well to remember this stance, even concerning Messianic Jews who you think are apostate. You said I cited Deut 10:12 out of context. Please explain. 1. The instruction on “two witnesses” appears in verse 6, and this is the greater context of the local court judging a murder case, lawsuit, or assault. But how do we know this instruction on witnesses just isn’t for a local case? When in the local case it says “purge the evil from among you” (v.7) and in the greater case it says “purge the evil from Israel” (v.12). What is the context of 17:10-11? The context is not (just) the local case referred to it (although it does precede it), but also includes the Torah on “witnesses” since that too precedes the local case (v.6). “Witnesses,” which is itself preceeded by “judges” (16:18), which is preceeded by “Abib” (16:1). So then we see the greater cases of “Israel” involved “Abib,” “judges,” and “witnesses;” and they are brought to “the Place” where the difficult cases are brought. To turn aside from the decision of the court at “the Place” is an evil that must be purged, just as it is at the local level (for such a transgression of turning aside from the decision of the court at “the Place” is equated to idolatry, which is why the specific is given in v.3, the penalty for which is death). Karaism seeks to turn aside from the decision of the court at “the Place,” and establish its own decisions, which the Torah calls idolatry. Furthermore, the juxaposition of “difficult cases” and “the Place,” with “between blood and blood, plea and plea, and stroke and stroke,” shows that one refusing to abide by the decisions of the court at “the Place” is guilty of murder, adding to and taking away from Torah, and striking the Word, just like Cain did with Abel, and as such a person does to Messiah. 2. Your argument that if the court “is absent, this commandment is no longer binding,” would then render the Torah that Moses gave as itself no longer binding. We know however this is not true, since it is written “you shall observe” not “they shall observe,” meaning you are to abide by the decisions of the previously existing court, especially in the absence of one. This especially includes the calendar for the feasts as established by the Sanhedrin that held this authority (a court which Messiah Yeshua submitted to). 4. This point of yours does nothing to further Karaism or its attempt to usurp the authority of the 1st Century Sanhedrin, or the new Sanhedrin of today. I appreciate your concern for fellow Jews, but there is no need to “witness” to anyone, Jews included. We are all called to teshuvah, including yourself, and if that leads one to Messiah Yeshua (as we believe it does very clearly), then so be it – such would be an after effect of what we do here. Our obedience is witness enough. Your proclaimed disobedience is not. We’re here to preach teshuvah, and thus submission to King Messiah. What Karaism seeks to establish is a usurpation of established authority, through self-led halachic decisions, and thus idolatry which brings someone farther away from the Torah, and thus farther away from King Messiah. Karaites probably best would have flourished in the days where “each man did what seemed best in his own eyes,” but they will not flourish in the days of the King. I and others here prefer that we do what Torah teaches and thus what Messiah does. If you have a real argument or objection concerning our position on Kariasim, or about Torah, which we can hash out together, then feel free to post it. You desire teshuvah, but as Maimonedes said, you’re in error. We’re happy to work with you as you point out our errors, and we point out yours, and together we both make teshuvah. Dear Israel, thanks for your response. I am not trying to be argumentative, but have trouble accepting your line of reasoning. 1. When the government structure was given to Moshe, every small matter was to be decided at a low level by a suitably competent authority. In those cases certification by a higher authority was not required (Exodus 18:22). In my view the Karaites are a suitably competent authority to decide on matters of the calendar, and furthermore, are putting in more effort than anyone else. As to the supposed need to be formally appointed, Tanakh contains several examples of people who were not formally appointed earning a position through faith and good deeds, for example Rahab the harlot and Ruth the Moabitess. 2. Torah says nothing about the observers having to be certified. The fact that the Sanhedrin took on this role does not elevate it to Torah. It was and still is a tradition, which we are free to accept or reject as circumstances dictate. If tradition leads us to break Torah, Yeshua made it clear that we are to reject that tradition and follow Torah. 3. When the Sanhedrin reverses their judgement of Yeshua and declares Him innocent, then (and not before) their decisions will carry some weight with me. Having looked over their website, it is not even on their agenda. I feel very sad about that. “In my view the Karaites are a suitably competent authority to decide on matters of the calendar” – and you prove my point why I label their attempt to get you to validate their authority, vs that of the rabbis, as a sleight of mind deception of exchanging the authority of one group (with better credentials) with that of another (with questionable credentials, the proof of which is their nullification of Torah, which I and others hope to continue to demonstrate here). There are an estimated 30,000 Karaites world wide. The are NOT a major sect of Judaism. High point in their history in the 8th and 9th centuries, and again beginning in the 1700’s to current. At best Karaism is a fringe sect by definition and available resources. Those who do follow some of the dogmas of Karaism, if they do not usurp Torah, and Yeshua HaMashiach, then there should be no issue, as many sects of Judaism and Christianity fellowship, but Torah and haMashiach’s salvation are NOT compromised. More can be found at numerous locations online and in your Local Library. First off, I’ve done my darndest to avoid pounding words given your recent statements, so I hope you won’t resort to the weak’s weapon, namely redacting my comment’s text for no other reason than some of the content rubs you offensive. Sir, I was aware of all this. I’m also aware of other things he said about Qaraites which you didn’t touch upon — both positive and negative. I only resorted to him as an example to show you just how wrong you were stating the Qaraite Jews weren’t Jewish and that Qaraite Judaism was no Judaism by showing you that the (arguably) greatest rabbi throughout history did not think so. I’m really not impressed with the Rambam’s viewpoint that I’m in error. He was no prophet of YHWH, he received no prophecy and he’s not a Tanakhic figure. In fact, I’m not even on the Qaraite Jewish route because I was raised since infanthood this way, but rather made a conscience choice of the Qaraite Jewish way as an adult, and I know what the Rambam said about those Jews. If he had lived in modern-day Israel while issuing his statement, he may well have been arrested and put on trial for solicitation of violence etc. Sir, this is totally incorrect. While you bear with me, keep in mind verse numbers in many English translations are slightly off from the original. The Aviv matter — which is first noted within miswot pertaining to feast observance (16:1-17) — is entirely separate from the “judges” and “shotrim” (the ancient Israelite equivalent of police officers) matter which pertains to a brief discussion (3 verses long, 16:18-20) of the court system YHWH desires for Israelites. The topic then changes to directives concerning worship (a totally different subject)– 16:21-17:1. Then the topic changes to the case of an Israelite breaching the covenant with YHWH by worshipping other deities or the heavenly bodies/hosts. Finally, the topic changes in 17:8 to that of *local* disputes (“divray reevot b’sh`araikha” — local disputes) which have proven insollable in the local legal instances where the litigants have brought their case. Hence your rebuttals re Devarim 17:8-13 are nullified by your misunderstandings of the text which is the product of being misled by Orthodox rabbis peddling their system to you coupled or compounded by your inability to read Khumash verses in context in their original vernacular and construe their plain meaning, or your desire to avoid comprehending the text in the Hebrew original by its plain meaning. Look, I seriously doubt you’ve currently got a good command of Hebrew to read and comprehend the Torah in its original vernacular. You also seem to place little emphasis (if that) on deriving Halakhot from the plain straightforward meaning. You’d do well to acquire such mastery and perhaps then you’ll ultimately see the pro-Rabbinic error of your way. I reject the use of Derash, Remez and Sod to derive Halakhot. For this purpose I’m concerned only with the Peshat, the plain straightforward meaning. You seem to not accept that only the plain straightforward meaning counts when one tries to comprehend the Tanakh. Therefore, arguments over this point are a waste of time as long as you differ from me on this paramount principle. I can only hope you’re not taking verses out of context deliberately anymore, though this seems to be what you’ve done on more than one occasion. As to the so-called New Sanhedrin, you previously stated it came about through the ordination of both the Chief Ashkenzai and Sepharidic rabbis, as well as consensus from all major Jewish groups in Israel. Well, even the passage you quoted from their website shows the former part of your statement was inaccurate while the latter was incorrect. Note that by claiming “Rabbi Dov Stein explained that Former Chief Sephardic Rabbi Mordechai Eliyahu endorsed the project indirectly – his son was ordained by nascent Sanhedrin.”, R. Stein is inserting his own spin and trying to pass it as fact. Since the vast majority of rabbis in Israel and their constituents treat this institution as a curiosity at best (and you can take this to the bank), I doubt R. Shalom Elyashiv’s support was enthusiastic or moderate tempered; I bet on the latter. Regardless, when Rabbi Levanoni claims semikha was renewed through a consensus of over 700 leading rabbis living in the Land of Israel, this is his own spin being heard, tantamount to assigning the status of “leading rabbi” to some rabbi appointed by the Chief Rabbinite to take religious care for a village located in the Galilee as a fulltime job. I hazard a guess I know a bit more than you how the Rabbinic system works in Israel. Those who know something or two about Israeli affairs already know this “Sanhedrin” is almost entirely the preserve of the Israli religious far Right and even the religious barely care about it. Finally, I’d like to point out that a report in Ha’aretz (https://www.haaretz.co.il/hasite/pages/ShArtPE.jhtml?itemNo=641260) (you are capable of reading Hebrew, aren’t you?) states an entirely different flow of events concerning R. Halberstam. It is claimed that *R. Levanoni* was the first to receive semikha, which he claimed to have received from R. Halberstam a number of years before 2004. You further stated, “We are all called to teshuvah, including yourself, and if that leads one to Messiah Yeshua (as we believe it does very clearly), then so be it”. Not exactly to me. I’ll do everything in my power to prevent bonafide Jews from drifting out of the fold to embrace JC as the messiah or more. If you back down from maligning Qaraite Jews with shrill language riddled with buzzwords you’re still unfortunately employing, I won’t interfere or takes sides in your debates with pro-Qaraite Messies. But in the meantime you are still repeating Rabbinic lines from a script and you do not even seem interested in seriously examining your own mistaken pro-Rabbinic statements. What I see is a repetition of ignorant talking points and an uninterest on your part in the truth of the matter, namely that (Rabbinic) authority established on deceit and trickery is no legitimate authority. I’ve presented to you real arguments and objections concerning your position on Qaraite Judaism and about Torah, but you refuse to do them justice, thus sidestepping the imperative of examining the right-ness of your path. As long as you keep holding fast to the Rabbinic doctrine that the Torah means both Rabbinic literature and the Khumash (the former being to them more important and considered elevated above the one in Tanakh) along with non-Peshat exegesis methods for the true Torah, you’re on a delusional path and will remain unsaved. And given that you accept JC as the Messiah, you’re really in no position to attempt to judge my Qaraite Jewish path since such a yardstick is ludicrous to me and you’re meddling in an intra-Jewish affair, not to mention that *both* Qaraite and Orthodox Judaism have long refuted belief in JC as contradicting YHWH will and Its Torah (Rabbi Tovia Singer has shown in his “Let’s go biblical” anti-missionary series that he could rely on the Tanakh alone as an Orthodox rabbi to refute belief in JC as incongruent with YHWH’s will and Judaism. If you really won’t to cling to the Rabbinic mindset and are adamant not to let go of their doctrines, it’s your entitlement. As to me, all I really want is that you cease maligning Qaraite Judaism, its theology, its Halakha and its adherents, etc. Once you do that, you won’t hear from me anymore. I won’t bother you. Is this really too much to ask? What you call a redaction of offensive remarks is for your own good – to make you look better, not me. Readers probably don’t want to know what you think of me personally, or what you think of them as a whole. If I had kept your remarks, you would only served to prove my point more, and I feel your points would have been lost on the readers. This site is for discussing facts, not opinions, and removing lashon hara from posts serves that purpose for your sake, not mine. That you want to make a fool of yourself now is up to you going forward. That you demand that I respond immediately to your remarks over demands and taunts via email shows a total selfish attitude that is inherent of someone so totally consumed with themselves that they can’t see beyond themselves. This attitude of yours will not win you the right to argue with anyone, except probably me (to the consternation of many readers). This is all I will comment on the matter of redactions of your posts as I want to focus on your arguments, whether or not I believe they are legitimate arguments. Based on your response saying “I reject the use of Derash, Remez and Sod to derive Halakhot,” it appears you see the presentation on Deut 16 and 17 I outlined above as not being Peshat. You repeated the phrase, “the topic changes,” several times in your exegesis of Deut 16 and 17 as if to make a point that each topic is totally unrelated to the topic that came before, but that assumption is totally unjustified, especially in light of the Peshat rule of juxtaposition, which it seems you may not be familiar with. My posted exegesis was completely peshat. There is a direct correlation between “Aviv” and the feasts that follow, and “judges” since these two topics are juxtaposed. Unless you believe HaShem does things at random, you will be hard pressed to deny any relationship between those two topics based on the rule of juxtaposition. If your hermeneutic structure doesn’t include the rule of juxtaposition, then you can’t honestly say you hold to a peshat interpretation of scripture. When HaShem gave his Torah to Moses, it wasn’t a haphazard collection of instructions. It was one Torah, with multiple meanings and levels of understanding, a divinely composed document where everything has meaning, from the context, to the structure, to each and every individual letter, to the entire text. I suggest you read the article on this site title What is the Torah? Although I am not arguing the point here with my exegesis of Deut 16 and 17, the first letter of the first word of the Torah is alone sufficient to teach us that there is more to the Torah than peshat alone. You say my exegesis is in error. Yet you failed to point out the error other than to say “the topic changes.” Friend, this belies your ignorance of the matter, for “the topic changes” is precisely the point of my argument. It is because the topic changes, that we see the topics are related directly. It is the responsibility of an honest Torah scholar to inquire of the text what the relation is between two juxtaposed topics. R’ Levanoni explained that Rabbi Moshe Halberstam, a senior Rabbi on Jerusalem’s Eda Hareidis, became the first samuch after receiving approval by Israel’s leading Rabbis. It appears to me at first glance that R. Halberstam was decided to be the one to receive the first semicha, regardless of what R. Levanoni received. This does not de-legitimatize the semicha renewal attempt, but merely highlights an inconsistency as to who first received semicha, (R. Levanoni claiming credit in one, and in another, his pointing out that R. Halberstam received it) the shared conclusion between both accounts being the R. Halberstam eventually received it period regardless of who received it first, with the tacit acceptance of leading orthodox rabbis. I am glad you have stated for the record that your position as a Karaite is to “do everything in my power to prevent bonafide Jews from drifting out of the fold to embrace JC as the messiah or more.” which is the point of my article written to warn other Messianic Jews falling for the Karaite deception. Your apparent disdain for anything rabbinic is limiting your ability to communicate any solid arguments. Poisoning the well is a logical fallacy, and I suggest you move beyond it to make your point. Karaites preaching to Messianics do this very tactic – they poision the well of the rabbinic community and leadership, in an attempt to make themselves look more legit and therefore more authoritative. You are making my point concerning your deceptive agenda, by your statements on rabbinic Judaism, far more than I could alone. I look forward to your rebuttal of the rule of juxtaposition. Regarding your comment “that you accept JC as the Messiah, you’re really in no position to attempt to judge my Qaraite Jewish path since such a yardstick is ludicrous to me and you’re meddling in an intra-Jewish affair” – you have no place here to speak on this matter since you reject even the peshat of Torah as we shall soon explore together. JC may contradict HaShem and the Torah, but Messiah Yeshua does not. Rabbi Tovia Singer makes many excellent points as I use about 80%-90% of his arguments and materials in reaching both unbelievers and believers for the true Messiah, Messiah Yeshua shel Netzaret. Every person he’s debated loses their arguments, because they argue from a position of weakness, and I applaud his work for reaching Jews with the truth of Torah. I believe he’s misguided in understanding who the Messiah is according to the Torah, but for the most part he’s more accurate than most Christians and even Messianics that I know. Feel free to read the articles on this site concerning Messiah Yeshua, or if you want to email me concerning this matter, feel free to do so, rather than post a replay on it since I do not want to slant this topic off into a discussion on Yeshua. Dear Zvi, I agree that some parts of the Messianic movement are Christianity rebadged. This is a great shame, and I agree that this greatly hampers their witness to informed Jews. But at the other extreme there are believers like myself who are zealous for Torah, probably much like the Karaites. In fact if I could find a Karaite assembly which would not throw me out once they discover I believe in Yeshua, I would probably join it! I know several other Messianics who would come along too, who are tired of Messianic liberalism. Your comment about the “false Messiah Yeshua” threw me a bit, until I realised you probably mean Jesus of the Gentile church, who is said to have put an end to the law. Of course such a person could not be Messiah! This teaching of the church is utterly foolish; so counterproductive. But I invite you to reconsider Yeshua the observant Jew, who consistently taught us to keep the commandments and Torah. He said that unless we do this, we will NOT enter the coming Kingdom (Matthew 5:17-19). Two chapters later, in Matthew 7:21-23, He took aim at born-again evangelical Christians, who even if they do great miracles in His name, will be rebuked for their lawlessness and told to depart from His presence. This emphasis on Torah observance runs right throughout the Brit Chadashah, with the exception of the apostate Paul (whose inclusion is now being acknowledged by many people as a big mistake). But why consider Yeshua? Twelve years ago, when my life was in a mess, G-d Himself led me to teshuva. He showed me that I could never atone for my sins by good works alone, and that only the blood shed by the Lamb could do that. Accepting the atonement of the Lamb (Yeshua) was the best thing I ever did. Please note that His sacrifice was done under the Old Covenant, according to the law of Moshe. Nothing ‘New Covenant’ about it at all! The superiority of Yeshua’s sacrifice comes from the fact that to the sincere person, He then sends the Ruach HaKodesh. He sent it to me six months after teshuva, and it supercharged my spiritual life (and still does). However it cannot come from an ordinary four-legged lamb, which leaves our walk of faith just as hard as before. That’s why Yeshua sacrifice is so much better. 2. The judges of the supreme court alluded to in Devarim 17:8-13 are obligated just like every other Israelite to abide by the Torah’s commandments — even as they reach their rulings. This includes the commandment stated in Devarim 4:2 (“You shall not add unto the word which I command you, neither shall you detract from it, so that you may keep the commandments of the YHWH your G-d which I command you”) which is repeated in Devarim 13:1 (“You shall observe to do all the word/matter which I command you; you shall not add thereto, nor detract from it”). Therefore, any judge (or those who presume to hold a judge’s status in violation of the Torah in general and Devarim 17:8-13 in particular, which the Pharisees and their Orthodox successors have been doing — a pretension vigorously defended by their apologists and backers of which b. Betzalel is one) that renders a ruling or verdict that breaches a commandment in the Torah, or any Jew who usurps the title of judge as the Pharisees and their Rabbinic successors have done, are effectively declaring themselves to be at war with YHWH by placing themselves in a rebellious position against YHWH’s will. Ergo, since the Rabbis and their Pharisaic predecessors have always stood in contravention to the Torah by adding, contradicting and detracting from it, and they never settled for judging according to the Torah alone, then according to the Torah a Pharisaic/Rabbinic Sanhedrin never had any authority to begin with to issue rulings and verdicts even to resolve local disputes, even when the Sanhedrin was situated on the Temple Mount proper. So we’ve learned the Pharisees and Rabbis have been in violation of the Torah from day 1 by usurping a position and status they had no business arrogating to themselves according to the Torah. It’s telling that b. Betzalel is ignoring my earlier remark that historically the Sadducees and their ideological/spiritual antecedents controlled the Sanhedrin and the previous supreme court situated on the TM and were metting out justice much more in tune with the Torah’s plain straightforward meaning until this position was usurped by the Pharisees. B. Betzalel’s silence on this speaks for itself. I have yet to hear from any Rabbinic apologist even something faintly resembling a concession that this was wrong and that Sadduceean Halakha is therefore much more deserving of being followed than Rabbinic Halakha. Zvi, your first point concluded with “Though each ruling could serve as a legal precedent or benchmark that could be partly applied as needed by later supreme judges in similar future cases brought in front of them” – that is precisely the point. I’m glad you agree with me on this. Now as you say, there isn’t a legitimate Sanhedrin, so therefore according to your own words, you have a precedent given you by a legitimate Sanhedrin, to follow that precedent until such time a “legitimate” Sanhedrin in “those days” makes a change. That is my argument (and those of other orthodox) concerning the current calendar. Until a legitimate Sanhedrin makes a ruling changing the calendar, we all have a responsibility to follow the previously established one. On your second point, you are correct, the judges are required to submit to the Torah, and are not to add to or take away from it. Please feel free to show me how this fact de-legitimizes the 1st Century Sanhedrin that established the calendar we are to follow today? Are you saying the Pharisees and later the Rabbis (of orthodoxy) add to and/or take away from the Torah? Your other point in your second point, you said that the Pharisees and later the Rabbis (of orthodoxy) usurped the title of judge. How? Please explain what they are doing that is wrong, as opposed to what you think they should be doing as right? The New Sanhedrin can still meet in our day, if not at the Place, then at the next best location, Jerusalem – and this they have done. If the Place is not available to hold court, then one does what they can in light of the Diaspora. After all, the Sanhedrin first met in the Wilderness, and the precedent for keeping Torah as much as we are able is something even the Karaities say one should do. You said the Rabbis and their Pharisaic predecessors have always stood in contravention to the Torah by adding, contradicting and detracting from it, and they never settled for judging according to the Torah alone.” You will be hard pressed to make that case here on this site. Much of what the Rabbis think is of the Rabbis, is in fact, of the written Torah – the truth of Messiah often being the clarifying link. Just because someone holds an opinion here or there that contradicts the Torah (again you’re hard pressed to prove that), doesn’t mean they are out to get you, or out to destroy the written Torah, and certainly doesn’t mean they are illegitimately qualified to serve on a beit din. Your outright rejection of rabbinism makes it sound like you believe the majority of rabbis to be wrong in the majority of their teachings. This sounds interesting, if not unbelievable. I believe your judgment is either missing a few key pieces of data, or you have swallowed the anti-rabbinic Karaite line hook-line-and-sinker, if I may use your terms. :) If you have a topic or ruling besides the calendar topic that you’d like to discuss, email me. That sounds like a pre-defined conclusion before examining the evidence. So far, no evidence has been presented concerning your “conclusion” here. Feel free to make the case in your next reply. For the benefit of our readers, feel free to also make the case that the Sanhedrin was originally controlled by the Sadducees. So far you present generalities, and conclusions that have no logical merit. Here is your opportunity to get specific. The Sanhedrin does not exist today nor does it govern. All we have is Torah and fragmented ideas of what we think Torah means from several different streams. Naturally, the stream with the largest amount of members will hold the most power and sway. Naturally, minority positions will be marginalized and demonized by the group with the largest amount of members. In reality orthodox Judaism has many good points and many not-so-good points. Karaism also has many good points and many not-so-good points. Even Messianics have their good points. First off, I am also Karaite. The premise of this article is completely wrong. Apparently, some believe we are attempting to gain authority over the Messianic Jews. Sheese, no, most assuredly no. Actually, it has been my experience that Karaites for the most part are not even interested in dealing with Messianic Jews. It is equally disappointing some here believe our goal is to attack and/or disgrace the Orthodox in some way. Let me assure you all, the goal of the Karaites is purely to understand the Torah and it is our responsibility, as you should all know, for us to point out where our brother’s have been mislead. If one of our interpretations does not hold up to your understanding of the Torah, then you should point this out to us as well. Lev 19:17 Thou shalt not hate thy brother in thy heart; thou shalt surely rebuke thy neighbour, and not bear sin because of him. Shooting down the messenger rather than the message has no purpose. If your beliefs are correct, then they should stand up to scrutiny. Karaites are not interested in deception and most of us will insist you look up what we try to explain as well. Every Karaite is specifically taught to question anything anyone says and confirm it in the Torah — even what fellow karaites tell one another. Aren’t all Jews supposed to follow the Torah to the best of their ability? This means specifically we are recognized by the state of Israel as Jews. It does not get any more major than that. Additionally, you should understand the reasons for judgement! Being cut off from the children of Israel has nothing to do with following or not following the Talmud. Therefore, I hope you will wisen up in the future. Benjamin, a Judaism that rejects the Torah, is not a Judaism. The long-standing dispute between Orthodox rabbis and Karaites continued until 1973 when the chief rabbi of the Sephardic community of Israel, Ovada Yosef, recognized the Karaites as full-fledged Jews. This proclamation has not altered the agreement that allows the Karaites to conduct their own civil affairs. Do you realize how much damage you are doing, not only to yourself; but to those around you? You should be greatly ashamed. First off, I am also Karaite. The premise of this article is completely wrong. Apparently, some believe all of us are attempting to gain authority over the Messianic Jews. Sheese, no, most assuredly no. Actually, it has been my experience that Karaites for the most part are not even interested in dealing with Messianic Jews, except Nehemia Gordon and a miniscule contingent of like-minded individuals. It is equally disappointing some here believe our goal is to attack and/or disgrace the Orthodox in some way. Let me assure you all, the goal of the Karaites is purely to understand the Torah and it is our responsibility, as you should all know, for us to point out where our Jewish brothers have been misled. If one of our interpretations does not hold up to your understanding of the Torah, then you should point this out to us as well. Lev 19:17 You shall not hate your brother in your heart; you shall surely rebuke your neighbor, and not bear sin because of him. You Karaites are a Joke. Like how many followers do you guys have . Karaism is a dead religion. I don’t see any Karaite Movement. How many Karaite Synagogues has this “Karaite Movement” produced? Zero. I disagree with any Karaite that replaces Torah with their idolatry. So if you are one doing this, then keep kissing the floor like the muslims, while you bow to Jesus and Muhammed. Rod, the Karaites don’t bow to Jesus or Muhammed.